Glass walls are proving an initial obstacle to women in the workplace, ahead of the glass ceiling, with them being ‘boxed into’ certain roles. Professor Sharon Bolton, Head of the Management School at the University of Stirling, and its Dean of Equality & Diversity, says this occupational segregation by gender prevents women from advancing to the top in management. According to the International Labour Organisation (ILO), jobs such as human resource management, PR and communication are almost entirely female dominated. But women are a much smaller minority in functional areas like finance, research, operations, and general management. Of middle management roles, the ILO - in its recent report ‘Women in Business and Management: Gaining Momentum’ - refers to an equal 50:50 gender split. Female CEOs of publicly listed companies however, number less than five per cent in OECD countries, and 2.8 per cent in the European Union. In the UK, women comprise 60 per cent of junior managers, 40 per cent of middle managers, 20 per cent at senior levels and less than half of that in CEO positions. This gender-based pyramid structure, identified by the Chartered Management Institute, is not unique to the UK. While FTSE 100 companies may have experienced a rise in the number of women on company boards last year, this reflects an increase in non-executive, as opposed to executive, directors. The former do not have the same involvement in the daily running of the company. She said that women’s position in the global labour market did not simply reflect their actual skills and career choices, but was a product of institutionalised exclusion. While allowing for the mass entry of women to certain occupations, this was responsible for keeping them unequally positioned economically. In her article, Professor Bolton writes that without action, the ILO forecasts that it could take as long as 200 years for women to achieve parity with men at management level globally; 80 years in developed countries. Professor Sharon Bolton will be providing the welcome at the Generation W - Celebrating Women in Business event on Tuesday 10 March, in support of International Women’s Day. Speakers at the event include Carol Smillie, Ann-Maree Morrison, Hinda Miller and Rachel Gunn. This event is being held in conjunction with the Institute of Directors, Sporting Chance Initiative and One Stirling. 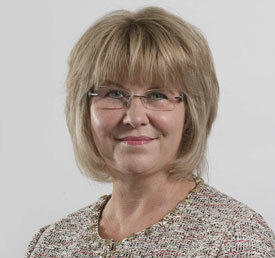 Professor Bolton will also be introducing the Celebration of International Women's Day event on Thursday 19 March. Dame Jocelyn Bell Burnell, Professor Christine Maggs and Professor Cathy Craig will be speaking at the event. Professor Sharon Bolton’s article for The Conversation can be read online at bit.ly/1wNPDmL. The University of Stirling is committed to equality and diversity across all of its activities, exemplified through its OneStirling partnership initiative with the University of Stirling Students’ Union. Stirling Management School believes that management matters, and it supports a sustainable future for business and society. Students develop leadership skills vital for businesses and organisations across the world. With internationally recognised and accredited courses, Stirling Management School takes a very modern, career-focused approach to higher education delivery. Nine out of 10 of its graduates find relevant employment within six months of completing their degree, and the School has an extensive alumni network. In the Research Excellence Framework (REF) 2014 the School was ranked within the UK’s top 25 institutions (the top quarter) for Business and Management. Over 90 per cent of its research impact is rated either world-leading or internationally excellent.